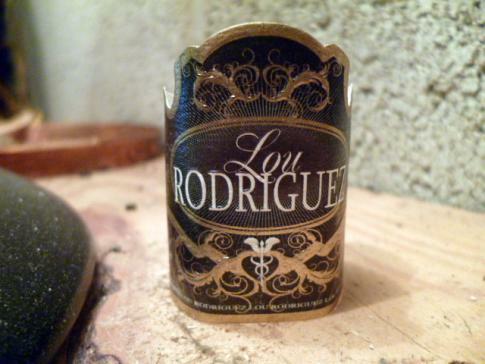 To be honest, I had never heard of Lou Rodriguez cigars. I smoked one yesterday and was blown away. So today, I review my second one. 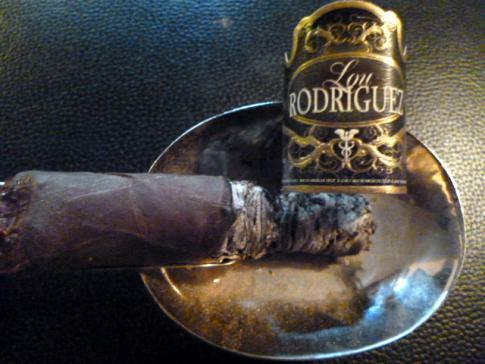 From what little info there is on this stick, it turns out that Lou Rodriguez is a doctor who branched out into blending cigars. If you look carefully on each cigar band, there is a medical Caduseus icon. 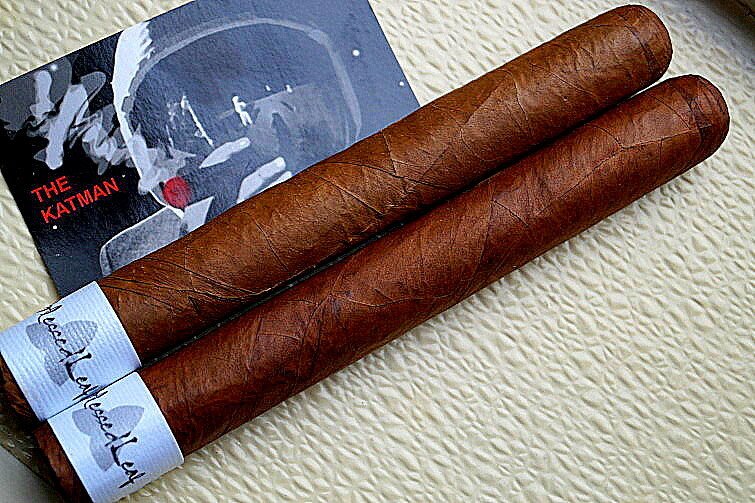 There are four blends in the line – the Connecticut, a Rosado, and two Maduros. 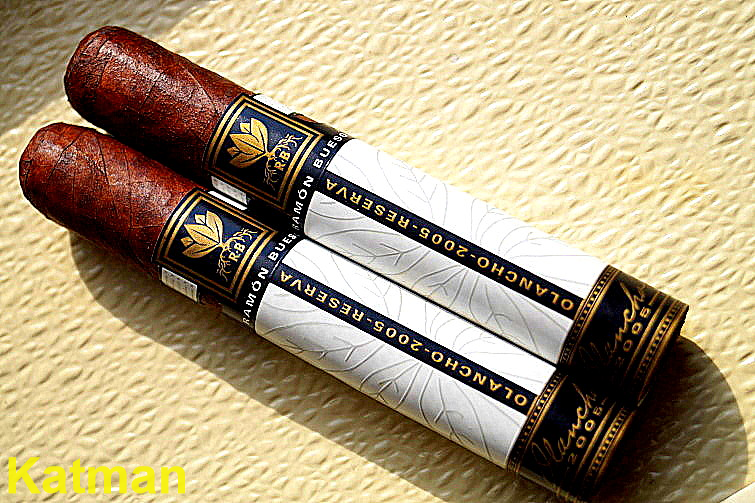 The Maduros are the Edicion Premier and the Edicion Reserva. 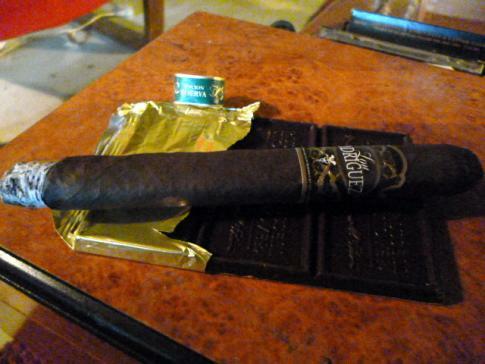 The box-pressed Maduro has a San Andres wrapper, Nicaraguan binder and filler from Esteli and Jalapa, The cigar is rustic looking with lots of veins. I like the box press. And the color is a nice milk chocolate. The prelight aroma is faint with barnyard and cocoa at the foot. I carefully snip the cap and it comes off nicely without a spray of tobacco bits. I toast the foot and get an immediate taste of oak and cedar with a nice dollop of cocoa. 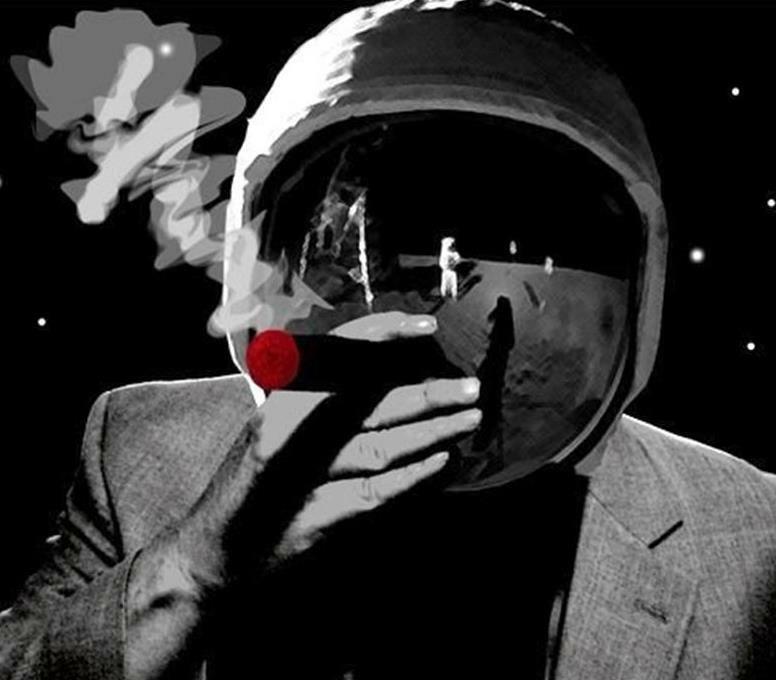 The draw is perfect and smoke pours out of the cherry. I get some cinnamon as well. And a nice creaminess. Very unusual for a cigar to taste creamy half an inch in. The char line is perfect as it burns. As I continue, the dark chocolate is dominating the flavor profile while it becomes richer in flavor and deeper in body. A bit of clove can be tasted. As well as some sweetness. Cocoa and creaminess plus the taste of oak is always a winner for me. Throw in a little spice and voila! You’ve got a good stick. As I enter the second third, I get the aroma and taste of coffee. Maybe more of an espresso. At this point, the ash takes a dump. I expected that as it is not a super firm cigar. It is more on the delicate side…making it difficult for the ash to hang on. This is turning out to be a delicious cigar. A perfect morning cigar for me. 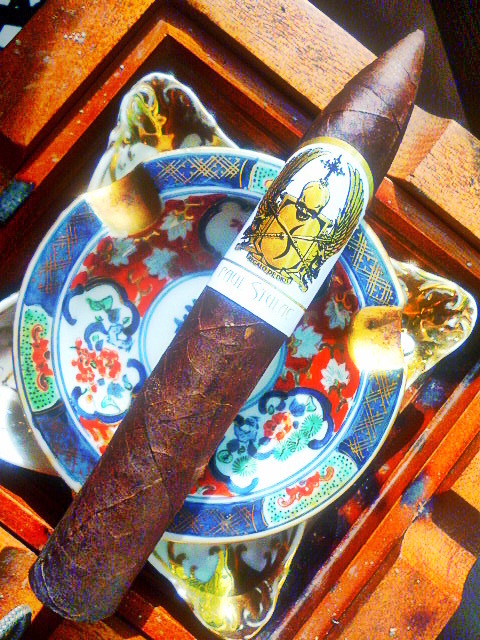 The body is medium at the halfway point and the breakfast flavors are perfect for the first cigar of the day. A dark cherry flavor shows up. Believe it or not, there is controversy about calling out this flavor. 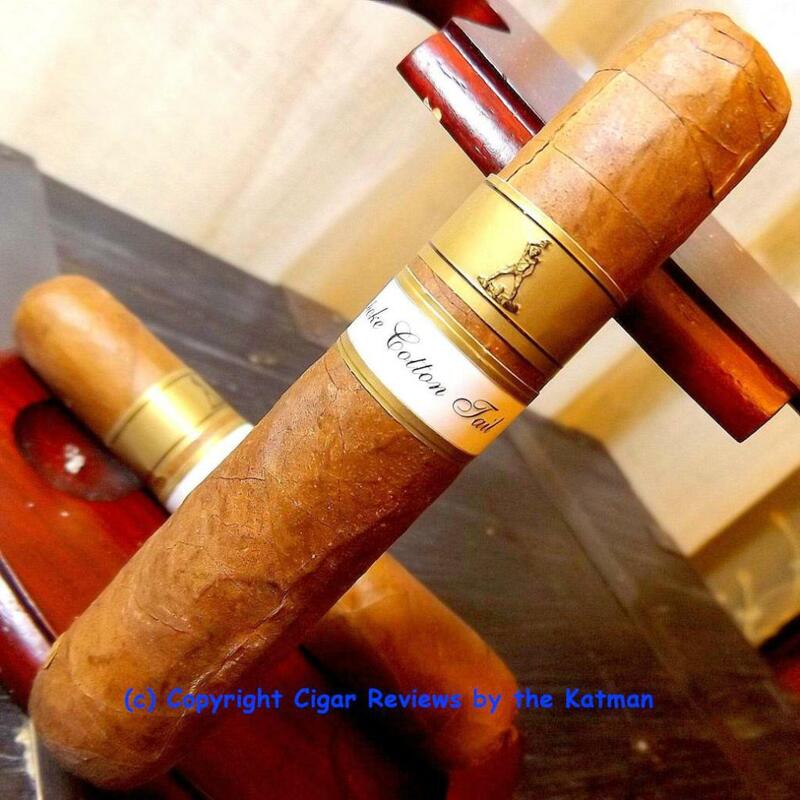 There are reviewers who swear they can taste that element of a cigar and there are others who say there is no such thing. I’m in the first camp. But I believe it only happens in Maduros when there is a leaning towards a subtle sweetness. As it continues to entertain me, I can say unequivocally that this stick has got some soul. It wants your R-E-S-P-E-C-T! 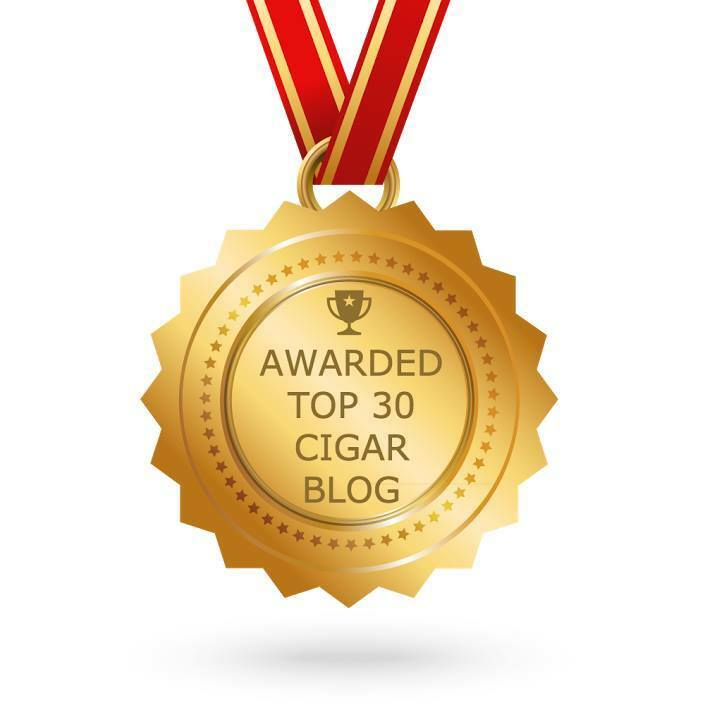 The cigar is entering the last half and it is burning on all 6 cylinders. Loads of flavor. More of a medium/full body emerging and a nice even burn. No touch ups required. The final third is pretty much the same. 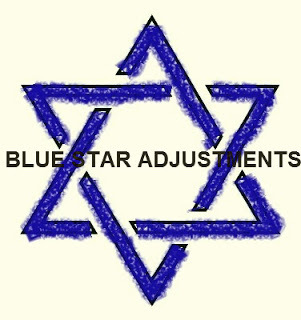 No major shifts occurred. But that’s OK. 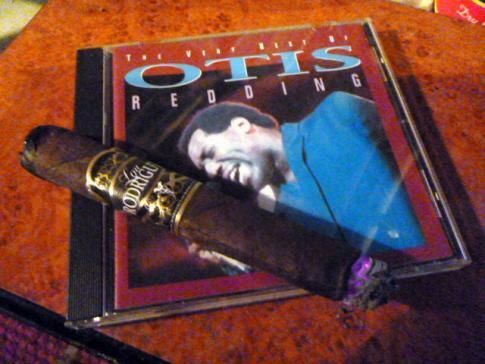 I enjoyed the hell out of this cigar and blend. 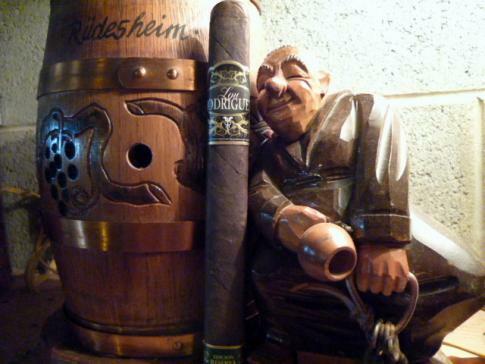 I think anyone can enjoy this cigar. 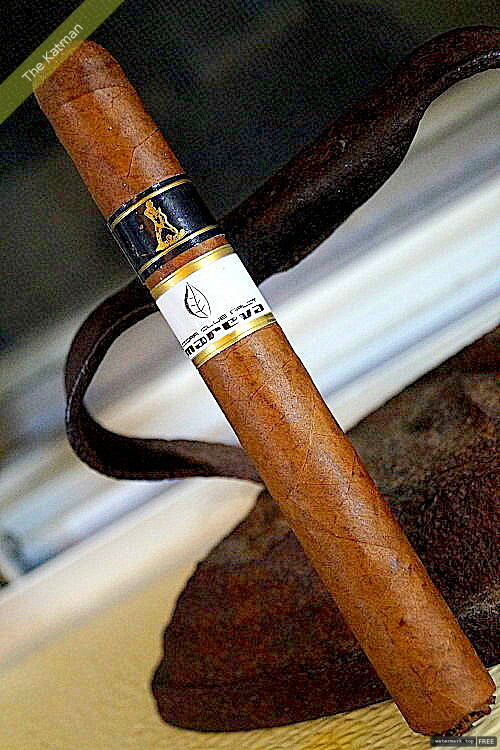 It’s a good blend for beginners who are ready to take their next step and a good flavorful cigar for us aficionados. I might add that while I considered the cigar delicate, the construction surprised me as it took me to the nub. There was no loose tobacco at the cap during the entire smoke. No spitting out bits of this and that. I was asked to bring some paperwork to Norma. She was the band’s lyricist. I was 24 and she was in her middle 40’s. It was hard for us to believe that she was as hip as she was considering her advancing age. But she was hip. She lived with the chick singer in our band. And Norma had two teenage sons living with them as well. I knocked and one of the boys let me in. I heard Norma yell to me to come to her bedroom. I thought nothing of it at the time as we were good friends and that’s all. The room was dimly lit and looked like your typical Hippie den. She was wearing a kimono but not tied at the waste. A huge gulp emitted from my throat. She asked if I wanted some wine and to take a seat. I wasn’t stupid. I had to get out of here. As I rose from my seat, after she signed the papers, she sidled up to me and hugged me. Her robe opened slightly. I made a quick dash for the bedroom door but she blocked me. What was I going to do? Knock her over? She kept trying to unbutton my shirt and I pushed her hands away. Then she got rough with me and pushed me on to the bed. I freaked. She was 45!! As she pounced on me, I made a quick surge to my right and she missed landing on the bed hoping to have me under her. I got up and she actually chased me around the bed. I grabbed the paperwork and made a beeline for the door. I yelled goodbye and split. I found out the next day that she had “had” all the other guys in the band. I was the only hold out. I continued to play in Curved Air for another couple of years and in that time, Norma did not speak to me unless absolutely necessary. 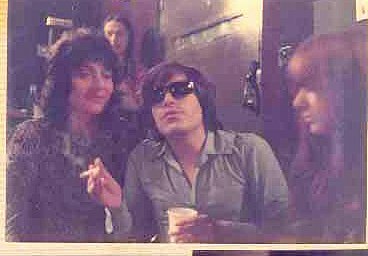 It’s true about what they said back then about rock n roll….but sometimes, it wasn’t completely accurate.